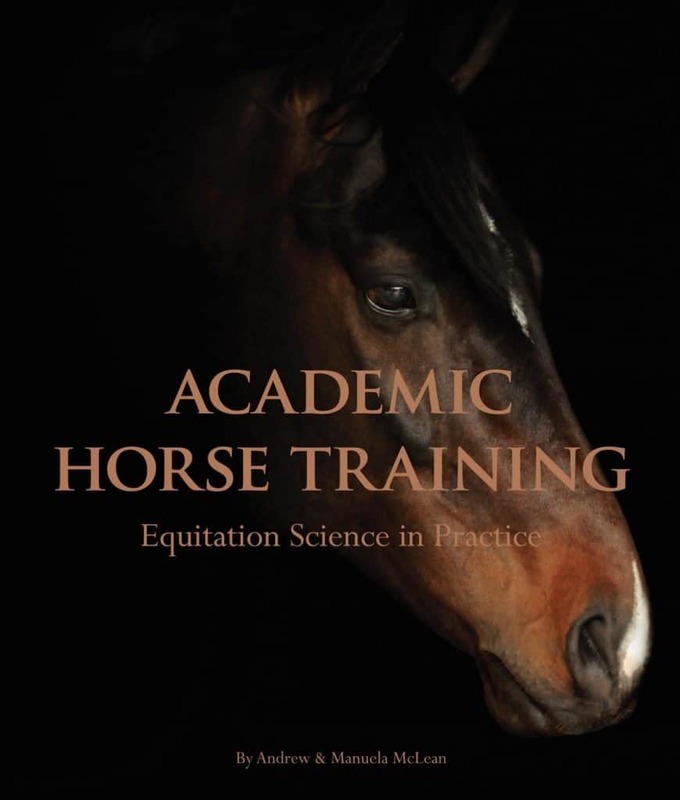 When I was in Australia in November, my friends instructed me that I must pick up several copies of Andrew MacLean’s seminal text — Academic Horse Training. The book isn’t available in the US and isn’t exactly easy to get anywhere outside of Australia, or even in Australia. I had to order the book directly from Equestrian Sciences Institute, who delivered them to my godmother’s house, and my god-brother ferried them to Oregon for me on a family vacation. The book is pretty hefty though, and I dawdled on cracking it, other than to look at a few pictures, until this week. At this point, I’ve read Academic Horse Training for a half an hour or so each day (um, this new life plan with dedicated reading time is awesome!!) and it’s addictive. It dropped a large number of truth bombs in just the first two chapters. I’m far from done with the book, but there are a couple of these nuggets that really stood out. Andrew MacLean hypothesized that in the past (like the way past) humans have selected horses for reduced girthiness, because we rely so much on the girth to hold our saddles on, and if you can’t get a saddle on a horse, you can’t perform on it. 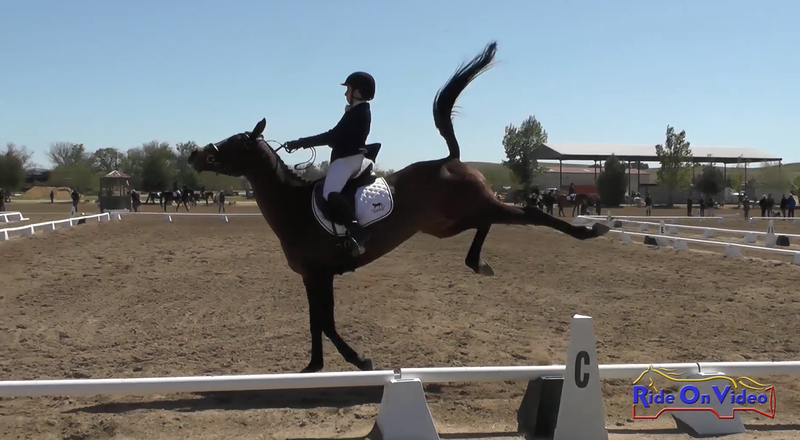 Some horses never get over their sensitivity to girthing. And at the same time we expect horses to be intensely sensitive to little movements of our leg mere inches away from this place that we ask them to be not sensitive to significant pressure. One of the theories on the origin of spooking is that by suddenly and unexpectedly changing track, a prey animal can trick a predator and throw it off course. By doing this, they gain a bigger lead over the preadator or scary thing, thus making themselves more likely to survive. So the better a horse can hide his desire or intention to spook, the more likely he is to survive. Which means that for flighty horses, the ability to make a spook super unexpected is probably literally written into their DNA. Thus why sometimes my horse (or any horse) will be trotting along and be just fine with something and then EXPLODE out of nowhere in fear of that thing. Because if that “predator” could tell that they were going to change course before they even got there, then the element of surprise and advantage of the sudden course change would be lost. If it’s something not so worrisome, then it might be worth just giving some major side-eye and neck craning to. So literally the most frustrating, unpredictable, and hard-to-control-and-train spook is the one that is most deeply ingrained in a fearful animal. Great. The fear response is literally one of the oldest, strongest, most easily reinforced pathways in the brain. And this is especially true for prey species. For horses, one instinctive reaction involving the fear response can undo many months of careful training, and can take many more months of careful, positive associations to smush back down. This unlocked a ton of thoughts for me — why Murray could be so great in one place, and in another place or after a big spook he just lost it. Why something like clipping was super hit or miss depending on the day, even after I had spent many hours working on it. This also underlined to me even more how important groundwork and developing a strong level of trust and understanding between rider/handler and horse is. Because sometimes I was the thing that stimulated the fear response in Murray, so he didn’t necessarily always know that something I was suggesting would be “okay”. I’m still only halfway through the book, but I’ve already recommended it wholeheartedly to several friends. Enough that I’m getting another shipment of books sent my way. I had a few extra copies thrown in there, so if you want your own copy, let me know (nicole g sharpe at gmail)! They should be here within a month, and I’d be happy to send one along to you. They aren’t cheap ($75 plus a little bit for shipping I think), but the book is WELL worth the money. More nuggets from Academic Horse Training to come. I am absurdly excited to start working with my future horse using the paradigm and framework outlined in this book!! I am definitely interested in a copy!! (And have been since the first time I saw Megan posting about it). I sent you a message via Hangouts! I think you need to thank Kate for that!! Not only am I lucky to call Manuela my coach, I too have that book. So very interesting! I haven’t read enough of it yet though. And re purchasing the book… my friend picked up a copy for me when she was a working student there last year. So lucky!!! Yeah I guess it’s probably not that hard to find in Australia. I couldn’t find it at my local independent book store so I was like “what! A challenge!!! !” But to be honest, I shouldn’t necessarily expect a local bookstore to stock horse text books. Happy to help get people access to this book. The McLean’s are just wonderful, and I cannot rave about Andrew enough. He always has time to talk about research and ideas and theories, no matter who you are or where you come from. This book sounds amazing and while I definitely don’t have $75 to spend on a book at the moment oh God do I want to! Keep us updated! OOOHHHH another to add to the reading list! This is so interesting, I can’t wait to hear what other nuggets you unearth! It also confirms what I already thought, that Frankie would die immediately in the wild bc he has none of these instincts. Anyway tho sounds like a great book! !